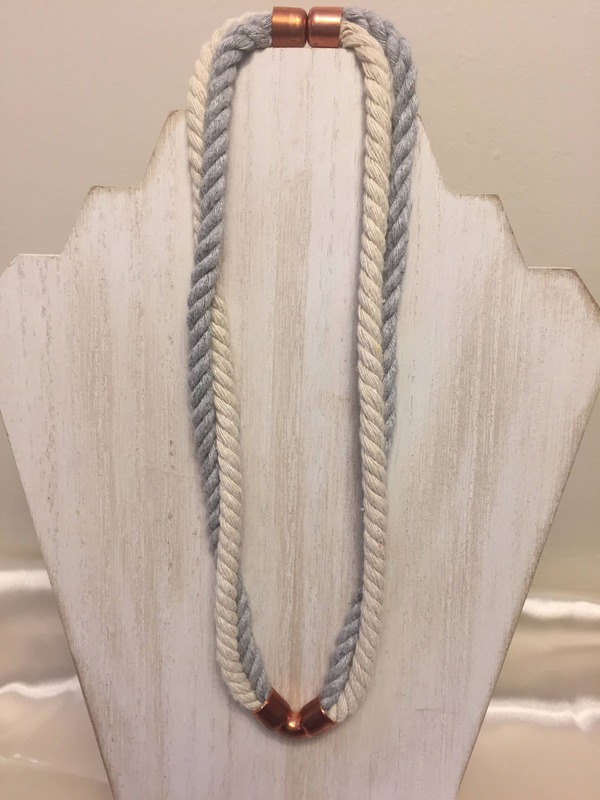 This necklace has two strands of rope in gray and beige. 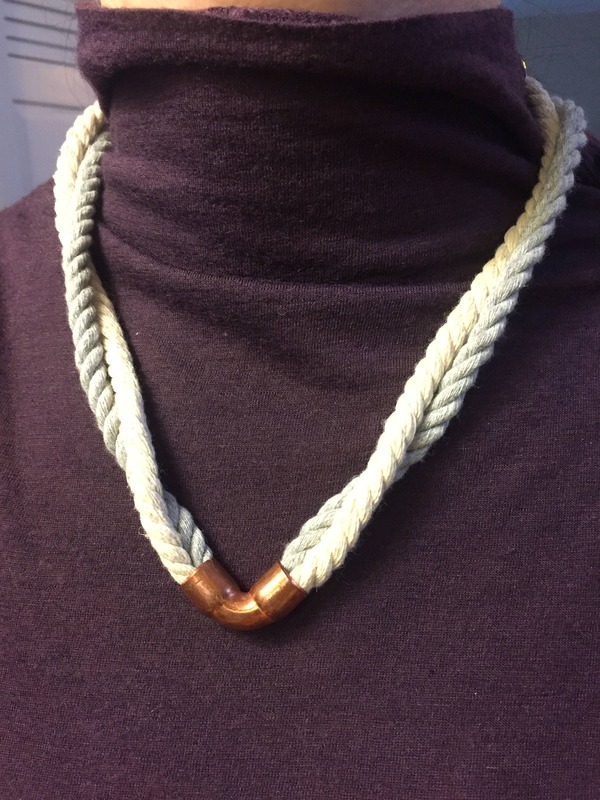 It is a more delicate version of my four strand twisted necklace. 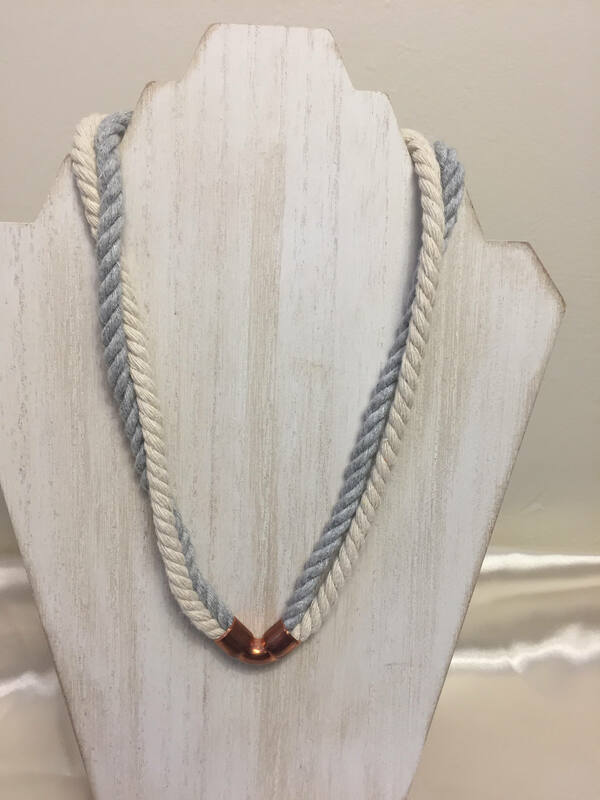 This necklace still has that WOW factor, but on a daintier level. 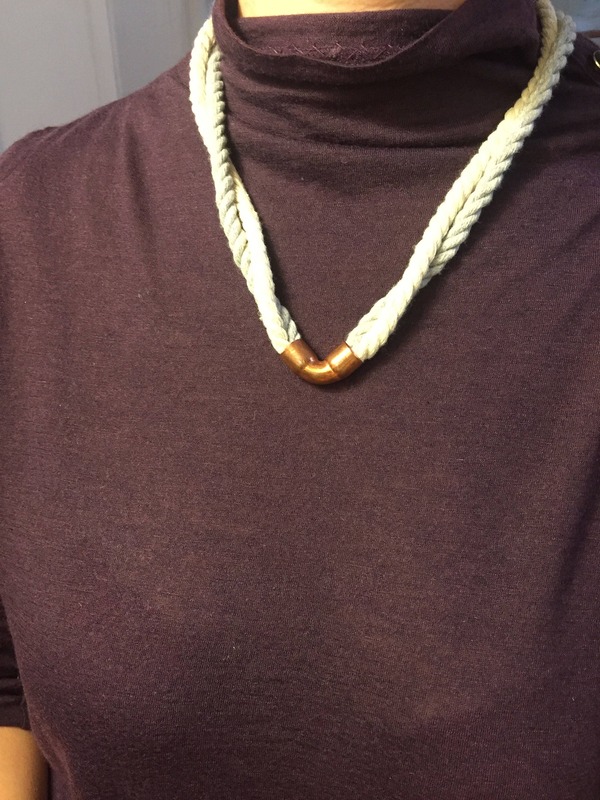 Necklace is approximately 9.5 inches long.